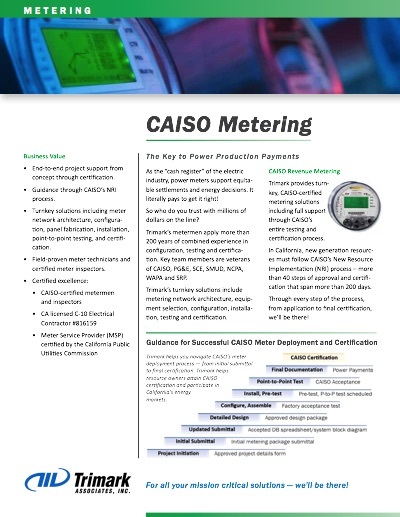 CAISO requires that resource owners select a Meter Data Management Agency (MDMA) to submit Settlement Quality Meter Data (SQMD) on behalf of the Scheduling Coordinator (SC). This is in lieu of the former requirement to provide a certified and inspected revenue meter from which CAISO would process settlement quality revenue data directly. Based on Trimark’s certifications as a MDMA throughout California, Trimark provides MDMA services to meet this requirement with a Scheduling Coordinator agreement. Trimark can ensure resource owners that Settlement Quality Meter Data (SQMD) will be submitted in a manner that avoids Rule of Conduct Penalties for late or inaccurate SQMD. 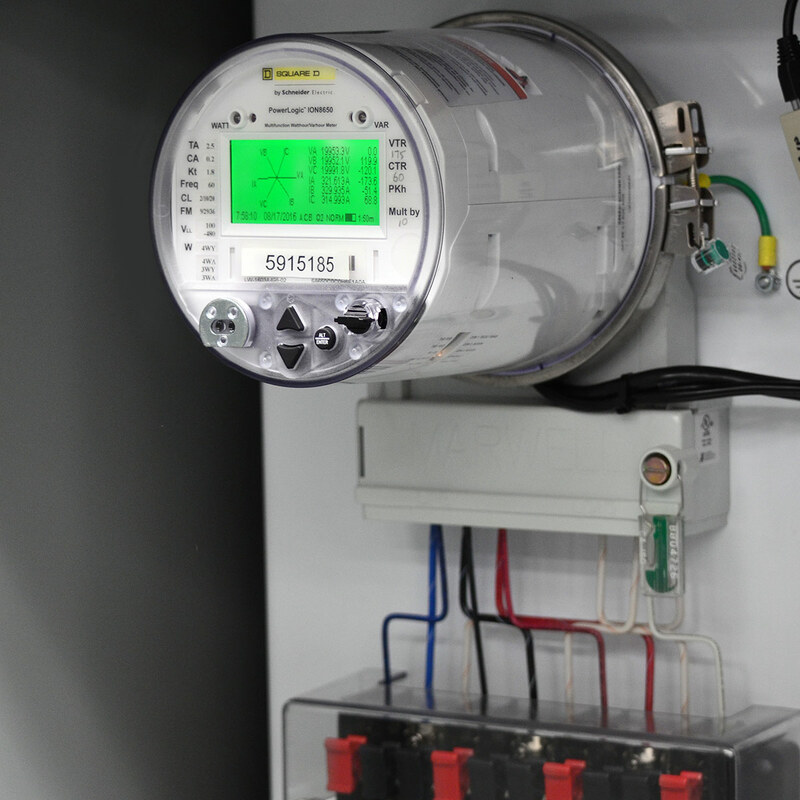 Trimark’s process produces meter data that is acceptable for billing or generation settlements. Developed, owned, and operated by Sustainable Power Group (sPower), this site is the first resource integrated into the Big Sky North Substation that ties into the Big Sky Substation to feed into the SCE grid. This site was built with 35 Power Electronic 2330kW inverters, an ATI V3.0 tracking system, and an 18MVAR capacity bank to support power reliability. This site ties into the Master Plant Controller to provide a central source of voltage and VAR regulation to support greater grid stability. D.H. Blattner was the EPC responsible for managing construction. Trimark’s role was to implement the PV Virtualized SCADA system as a NERC CIP compliant environment, integrate it into the Big Sky North Loss Compensator system, and provide consultation to the owner in establishing this resource their first SCME generation site.